Of course, Lendy Cowes Week would not take place if it were not for the sailing regatta and the on the water competition between yachts and yacht clubs. However, for visitors to Cowes who like to remain on shore and for the competitors after racing there is a great programme of shoreside events to suit all tastes. 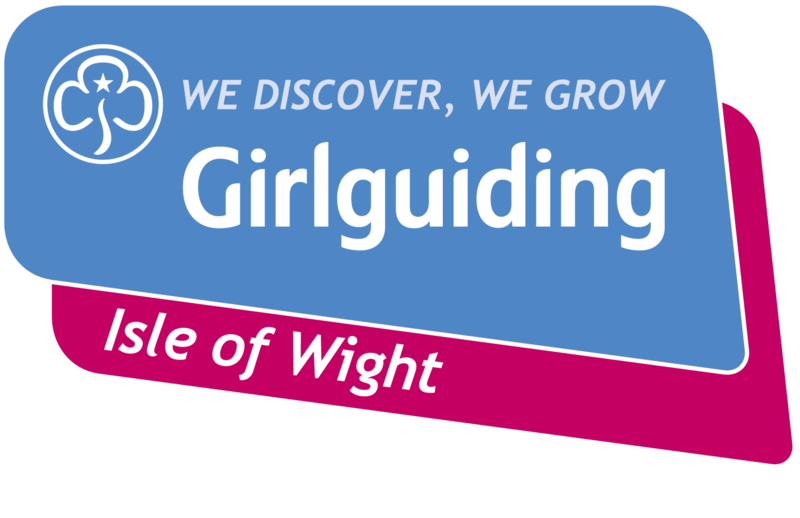 Venues around Cowes and East Cowes will be hosting events from Friday 28th July until Saturday 5th August. Cowes Parade will have its regular ‘pop-up’ village with stalls, bars and eating places backed by the bandstand stage. Here well- known and not so well- known acts will entertain the crowds starting most days around 2pm and going on until late. 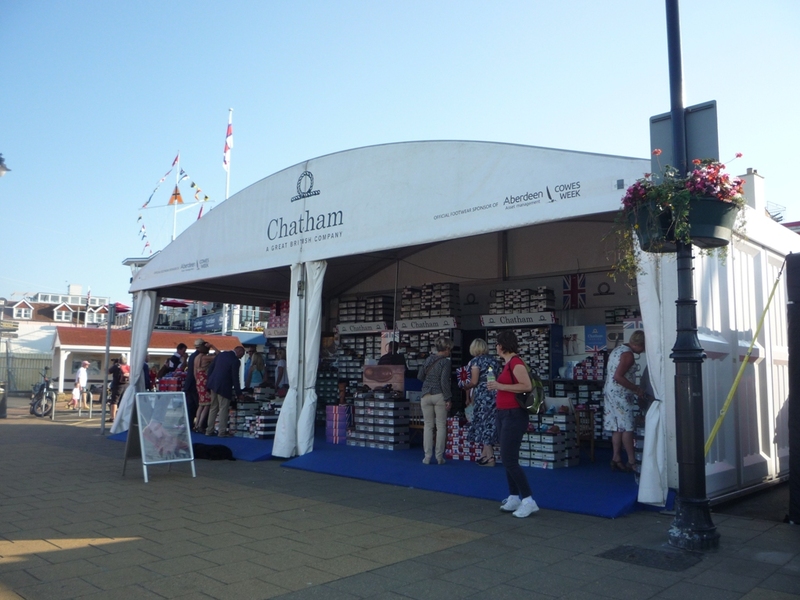 One of the regatta’s sponsors will have their usual stand on the Parade- look out for Chatham. Back for its fifth consecutive year, British footwear brand, Chatham, is delighted to return to Lendy Cowes Week, as its Official Footwear Partner for 2017. The popular retail unit will enable shoppers to buy the latest Chatham shoes including new styles: Oceania and Compass II G2 – block colour deck shoes. Afternoons also see the start of entertainment at Cowes Yacht Haven, Shepard’s Wharf and East Cowes Marina, whilst entertainment through Cowes High Street and at Northwood House starts most days around 11am. Sunday is Family Day with additional entertainment for all the family as well as that already mentioned. At Northwood House the Tree Climbing Adventure with Goodleaf (www.goodleaf.co.uk/book-online) will be available from 11am – 6pm for the young and young at heart followed later in the evening by an outdoor cinema and later still Gin and Jazz. At Shepard’s Wharf Marina the Sugar Store Nightclub has Sunday Sessions until 2am Monday. Monday will be the day when the focus is on charity. This Year’s selected charity is the Andrew (Bart) Simpson Foundation. The Bart’s Bash team will promote Bart’s Bash at Lendy Cowes Week by running the ‘Cowes Bash’, a race for all competitors. At registration competitors can get their ‘Simpson Sunnies’ and everyone is encouraged to grab a pair and wear them on Charity Day! All the race results from the first race of the day will be pooled in the same way as for Bart’s Bash to identify an overall winner for the day. Following on after racing, everyone is invited to join in at The Big Bash, a huge party in Cowes Yacht Haven starting at 7pm and designed entirely around putting the FUN into FUNdraising with Olympic medallist and DJ Mark Covell on stage as Master of Ceremonies. Tuesday sees the return of Ladies Day. 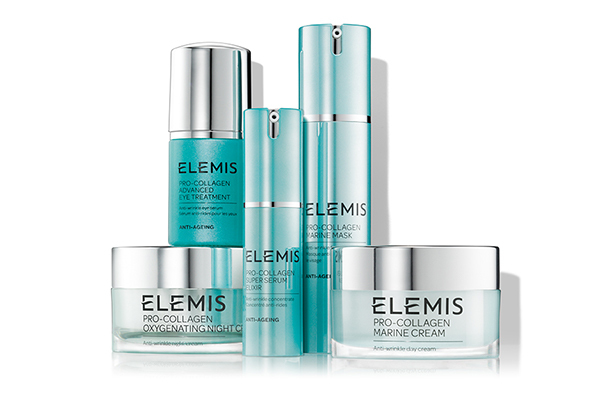 On Elemis Ladies Day, Cowes Week Ltd are encouraging all ladies to enter into the spirit of the day, both on the water and shoreside with a nautical dresscode-the traditional seafaring navy-and-white for which there will be prizes. 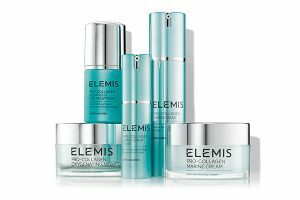 There will be a range of activities on Elemis Ladies Day and in the evening the presentation (invitation only) to the winner of the Ladies Day Trophy which recognises personal achievements or outstanding commitment and contribution to sailing. Tuesday will see the start of the Sevenstar Triple Crown at Lendy Cowes Week which is a new event for the World’s largest and most glamorous yachts. They will compete over three days for some of the most prestigious trophies in sailing and will start and finish from the Royal Yacht Squadron. Each race will be approximately 50nm long, and the series will include a Solent Eastern Approaches course, a Solent Western Approaches course and an Around the Island Race, with the opportunity for boats to mount record-breaking circumnavigation attempts. 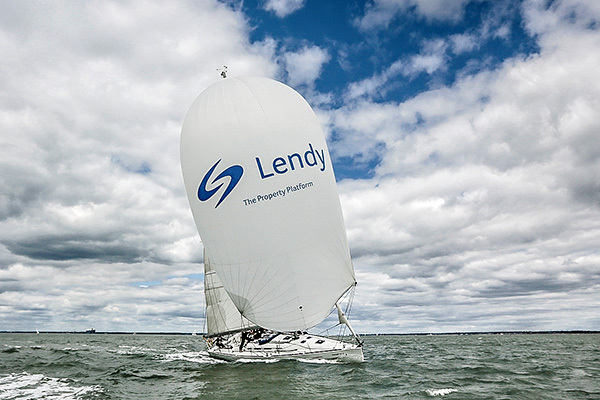 Another group of yachts which will be racing over several days are organised in partnership between Cowes Week Ltd and Sunsail, the Official Charter Sailing Partner of Lendy Cowes Week. Seventeen teams have already confirmed their entry in the races that take place from 31st July-4th August. These boats will be in the name of financial institutions and will sail in the ‘Lendy Finance Challenge’. On Wednesday from 11am-4pm at Shepard’s Wharf there will be a Careers Cafe hosted by The Andrew Simpson Foundation in addition to all the usual activities. Although some people think that Friday’s Fireworks mark the end of Cowes Week racing and all the other around the town activities continue on Saturday followed by the overall prizegiving in Cowes Yacht Haven at 7pm. This year events in Cowes continue on to Sunday 6th August when there is the start of the Rolex Fastnet Race. Starts for the 400+ boats are from the RYS line.